The Imitation CCTV Camera has realistic appearance and looks exactly like the real monitor and CCTV camera. 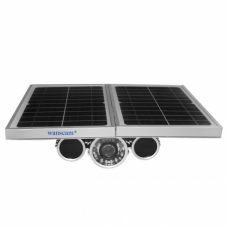 Because of the appearing as an actual security camera it provides cheap and effective way to protect your homes, shops and business and also conserves energy and protects the environment. 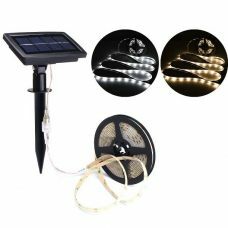 Blinking red LED, that flashes in 5 second intervals, and realistic wiring can make it appear to work as a real security camera. 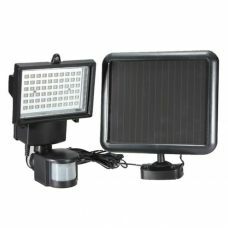 Imitation CCTV Camera is powered by Solar Energy at day time, while it use battery for night time. It is also suitable for indoor use, so in this case it can be powered by 2 x AA batteries (not included). 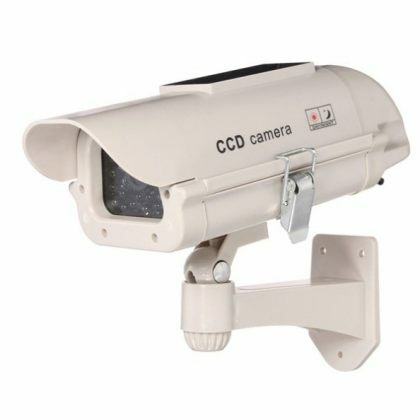 In shopping malls, supermarkets, hotels, parking, library, offices, warehouses factories, markets, parks, stadiums, residential area around or go through some of the prominent intersection location, install one or several simulation CCTV cameras, can be very effective to prevent crimes and deter thieves or criminals. The Imitation CCTV Camera is easy to install onto the wall with bracket and fixings. 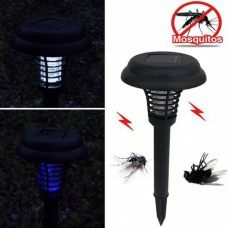 Ideal for: home, office, factory, school, garage, shopping center, supermarket etc. For whom: person, who is looking for cost/result efficient way to organize the protection of particular area like house, garage, office etc. It looks like the real one!!! It is very realistic of security CCTV Cam! I put two of them extra from the real cameras to my backyard and it looks like they do their JOB! Highly recommended. Good quality. The camera looks very real. The light start blinking as soon as the sun hit the solar panel. Recommend! Pros: It looks realistic and has all the accessorizes, like screws and video monitoring sign. 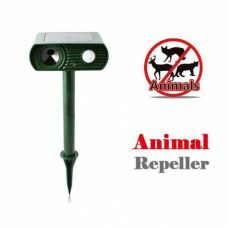 Good thing is it blinks red even without batteries using solar panel with low sun light. Hopefully it can charge my rechargeable batteries easily. It was very easy to set it up (just need to drill 3 wholes) and set a right angle. Cons: it has plastic body (expected it for this price) not sure how it will survive winter. Bottom line: totally recommend it for anyone looking for such solution.